Presenting wireless alarm system protection you can truly trust to keep your home safe. 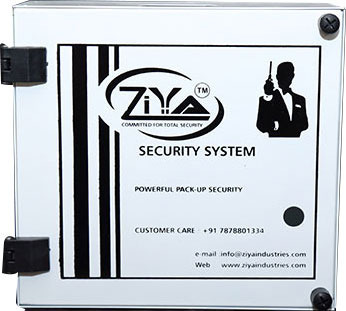 Ziya security is a home security system—built by a highly qualified engineer. It protects your home with the latest wireless technology .wireless alarm systems have an edge on reliability, and wireless systems provide a more streamlined installation and can be used in places where wired systems can't. We take this opportunity to introduce ourselves as one of the leading manufacturers of varieties of Burglar alarm/instruction system and it's electronics equipment. Our wire and wireless range of products consist of instruction/burglar control panel, motion sensors, door sensor, panic switch, hooter and siren. Over the past few years of expertise in this segment, we are proud to have an edge over our peers in terms of infrastructure, manufacturing skills, unmatched quality, shortest delivery lead time and excellent customer relationship. With our own embedded design R&D center, tool room and moulding facilities,we also offer our services to design and develop customer specific product besides offering customization of our own existing products wherever the requirements justifies the economics.